The moment the Divine Bluefire Shield appeared, hunger burned in the eyes of every MT on the team; even Cola drooled. The shield was crucial to any MT. It was the equivalent of half of an MT's life. Not a single MT would pa.s.s up an excellent shield. The best shield Zero Wing currently had was a Level 25 Dark-Gold Shield. However, compared to the Divine Bluefire Shield, it was no more than sc.r.a.p metal. Not only did the Divine Bluefire Shield possess extremely high Defense, but it also had a powerful Attack Skill and Berserk Skill. If an MT equipped it, they would no longer be just a meatshield. The damage they could deal would be no less than what a normal DPS cla.s.ses could do. "This Divine Bluefire Shield's Attributes are better than even the current first ranking shield, the Blue Dawn." Aqua Rose was greatly shocked when she examined the red-black buckler. "Most likely, this is the best shield currently available throughout G.o.d's Domain." As the manager of a Guild, Aqua Rose normally collected information on the various large Guilds throughout G.o.d's Domain. For example, she knew which Guilds had been active recently, members of the main force of various large Guilds, experts, and the latest powerful equipment. Blue Dawn was a Level 30 Dark-Gold shield. However, a Super Guild had obtained this shield through a quest, and it had made many other Super Guilds jealous. Many corporations had even offered an astronomical price of 1,000 Gold for it. On the other hand, the Divine Bluefire Shield was a Dark-Gold shield that would improve to Level 35. Setting aside its Basic Attributes, just the Pa.s.sive Skill Bluefire Shield and Active Skill Rising Fire were excellent Skills. The Bluefire Shield was clearly more valuable than the Blue Dawn. Not including Epic Shields, it would not be an exaggeration to call it the most powerful shield currently available in G.o.d's Domain. However, Aqua Rose very quickly realized something. What kind of item ranked first? Very quickly, the rest of the team reached the same conclusion. Their gazes darted back to Shi Feng, expectation written all over their faces. "Alright, then. I'll unveil the first ranking item." Shi Feng laughed. He then took out a purple-blue crystal necklace. "Chances are that every magical cla.s.s will go crazy over this." Magic damage and healing effects increased by 20%. Bluefire Devour: Burn 30% of your Mana in exchange for the Power of Bluefire, increasing all Skill effects by 200% and Mana Consumption Rate by 200% for 30 seconds. Bluefire Summon: Summons three Elite ranked Bluefire Crows to battle for you for 30 minutes. The Bluefire Heart's Basic Attributes were average at best. However, the necklace's Skills increased its value tremendously. The Skills almost made up for all of the weaknesses a magical cla.s.s possessed and enhanced their firepower. Most importantly, the Bluefire Heart was a necklace. Ornament-type items were extremely rare in G.o.d's Domain. The value of one was multiple times that of a weapon or other equipment of the same quality and level. In the case of the Bluefire Heart, even a Tier 3 cla.s.s would continue to use it. Hence, it was significantly more valuable than the Divine Bluefire Shield. "Since you have seen the items for yourselves, you can start bidding for them," Shi Feng said, grinning at everyone's dumbfounded expressions. "First up is the Bluefire Double-edged Sword. The starting price is 20,000 GCP." Currently, Zero Wing's Contribution Points were worth roughly 30 Copper per point. In other words, 20,000 Contribution Points was around 60 Gold. However, this price didn't surprise any of them. For a weapon of the Bluefire Double-edged Sword's caliber, this was considerably cheap. If it were on the Auction House, it would sell for at least 200 or 300 Gold. For a time, the Berserkers and Swordsmen began fervently outbidding each other. As the members of the Guild's main force, they frequently raided Dungeons, especially small-scale Team Dungeons. Furthermore, they were the Guild's frontline when it came to pioneering Team Dungeons. They would exchange most of their unwanted equipment for Guild Contribution Points. In addition, they also completed the various high-level Guild Quests. Hence, they had acc.u.mulated quite a lot of Guild Contribution Points. In the end, however, the Guild's current number one Berserker, Rampant Blade, won the weapon for 40,000 Contribution Points. Cola won the second item, the Divine Bluefire Shield, for 90,000 Contribution Points. However, this was practically Cola's entire fortune. It would be some time before he could compete with others for equipment. Aqua Rose bought the third item, the Bluefire Heart, using 150,000 Contribution Points. As the Guild's Vice-Leader, Aqua Rose enjoyed certain benefits. In addition, she also frequently partic.i.p.ated in Dungeon raids and Guild Quests, so she had acc.u.mulated an extraordinarily high number of Guild Contribution Points. Not even the commander of Zero Wing's main force, Fire Dance, could hold a candle to Aqua Rose. In Zero Wing, only Shi Feng was a match for the woman. Everyone on the team envied these three players. These three pieces of equipment were definitely among the best currently available in G.o.d's Domain. Equipping them would significantly boost their combat power. After all, no other Guild in G.o.d's Domain had managed to clear the h.e.l.l Mode of a 50-man Team Dungeon. Following which, various members of the team purchased other Dark-Gold and Fine-Gold Equipment, increasing the overall strength of the entire team significantly. As for the other materials, he stored them in the Guild Warehouse. "Everyone, head back to the city and get some rest. Our next goal is to challenge a 100-man Team Dungeon," Shi Feng said slowly. "Blackie, Fire Dance, Cola, Violet, and Aqua, stay behind. I'll need you guys to accompany me on a quest." "Quest?" Everyone could not help but grow interested. Shi Feng was the publicly acknowledged number one expert in Star-Moon Kingdom. Just what kind of quest would he need help with? However, everyone only wondered about it; none of them volunteered to a.s.sist. After all, weaklings like them would never survive a quest that even Shi Feng would need help to complete. They needed a certain amount of strength before they could embark on such a quest. Otherwise, Shi Feng would not have called the top ranking experts of the Guild to join him. After everyone else returned to the city, Blackie, who could no longer hold back his curiosity, asked, "Guild Leader, what kind of quest are we doing? Why the need for such secrecy?" "Guild Leader, is it an Epic Quest? I've been wanting to give an Epic Quest a try!" Cola's eyes glowed. Epic Quests... No one, other than Shi Feng, in the Guild had taken on an Epic Quest yet. First of all, ignoring how rare an Epic Quest was, they were simply too difficult. Moreover, in the event that one failed an Epic Quest, the consequences would be extremely severe. However, if one completed the Quest, the rewards would be astonishing. "Although I call it a quest, I need help capturing a wild beast." Shi Feng shook his head and laughed. "Capturing a wild beast?" Everyone grew confused. It was possible to capture wild beasts in G.o.d's Domain. However, capture was far more difficult than simply killing it for EXP. Even if one captured a wild beast, there was nothing they could do with it. At most, they could leave it in a corner and look at it. Most importantly, players had to spend a lot of money to capture a wild beast. Hence, at present, n.o.body was willing to spend their time on something so costly. "Don't you want to capture a wild beast and ride it as a Mount?" Shi Feng said, smiling. Upon hearing these words, a hint of antic.i.p.ation flashed in everyone's eyes. "However, I heard that, in order to capture a wild beast to tame it into a Mount, a Guild first needs a Stable," Aqua Rose stated. "Guild Leader, we don't have a Stable. We'll have to challenge 100-man Team Dungeons to obtain one." Shi Feng simply laughed without offering a reply. "Guild Leader, don't tell me that you already have the Design…" Aqua Rose asked in disbelief, her beautiful eyes widening as she stared at Shi Feng. 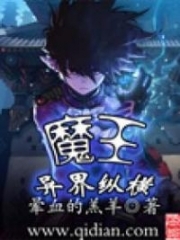 You're Read Reincarnation Of The Strongest Sword God Chapter 628 online at NovelOnlineFull.com. You can use the follow function to bookmark your favorite novel ( Only for registered users ). If you find any errors ( can't read,broken links, can't load photos, etc.. ), Please let us know so we can fix it as soon as possible. And when you start a conversation or debate about a certain topic with other people, please do not offend them just because you don't like their opinions. You're reading Reincarnation Of The Strongest Sword God. This manga has been translated by Updating. Author(s): Lucky Cat. Already has 2074 views. Current Time is 20-Apr-2019 13:11:05 PM.